KGI’s Ming-Chi Kuo claims that Apple Pencil shipments might double this year and it is possible that iPhone may also use Apple Pencil eventually. Apple is hosting an event at Lane Tech College Prep High School in Chicago on March 27 and is expected to launch a new line of affordable iPads there. 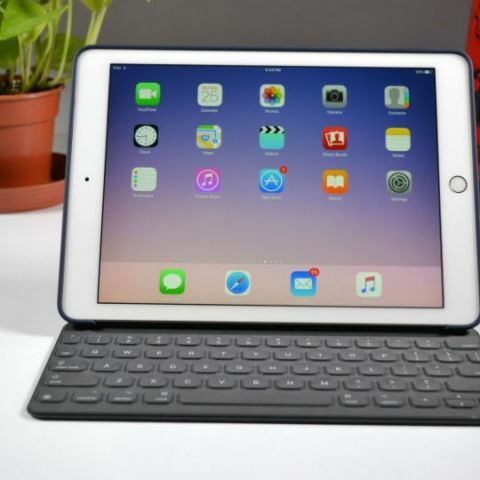 Now, renowned analyst Ming-Chi Kuo has said that the 9.7-inch iPad expected to launch next week will support Apple Pencil. He predicts that Apple Pencil shipments will double this year and it is possible that iPhone might eventually support the Apple Pencil as well. According to Kuo, this year we will see Apple Pencil shipments going up to 9-10 million, over the 4-4.5 million last year. It should be noted that Apple never disclosed any of these sales figures. Apple currently supports Pencil on its 9.7-inch, 10.5-inch and the 12.9-inch iPad models, some of which are more expensive than the current MacBook Air and are touted as viable laptop replacements. The new iPads Apple is expected to launch are supposed to be aimed at students and hence might be a bit more affordable. If rumours are to be believed Apple may also unveil new iPad Pro tablets with Face unlock and Face ID and a new internal setup. Other info on the event suggests that Apple will be talking about software, especially textbook offers and we might also see special education related content coming to the iPad platform. Software changes may come with the official launch of iOS 11.3, which is currently in beta. We are likely to see a newer version of iOS at WWDC in June this year. The Cupertino based tech giant is likely to unveil iOS 12, 10.14, tvOS 12, watchOS 5 as well as new firmware for HomePod. Rumours suggest that Apple might unveil a new entry-level MacBook Air at the event with a Retina display, which would support Face ID.